Power tools are often a wife’s and mom’s best friend during the shopping season before Christmas. They make for easy, one-stop-buying for guys in the family. At least that’s how it is around our household. Read instructions for operation and safety. Keep instructions for all tools in a drawer or folder so they’re readily available when there’s a question about operation, upkeep, and trouble shooting. Write the date with a Sharpie marker on batteries to keep up with their lifespan. All batteries wear out eventually, but not until after a 1,000 charges or so if it’s a top-of-the-line battery. Record serial numbers of power tools in case of theft or fire. Put small parts back in the case or designate a drawer or container for easy access. 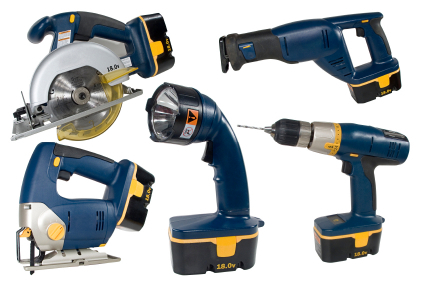 If tools are your hobby, when it’s time to get down to business, call SCI – Southern Coast Improvements @ 843-421-9255.